The law firm of Crenshaw, Ware & Martin, P.L.C. 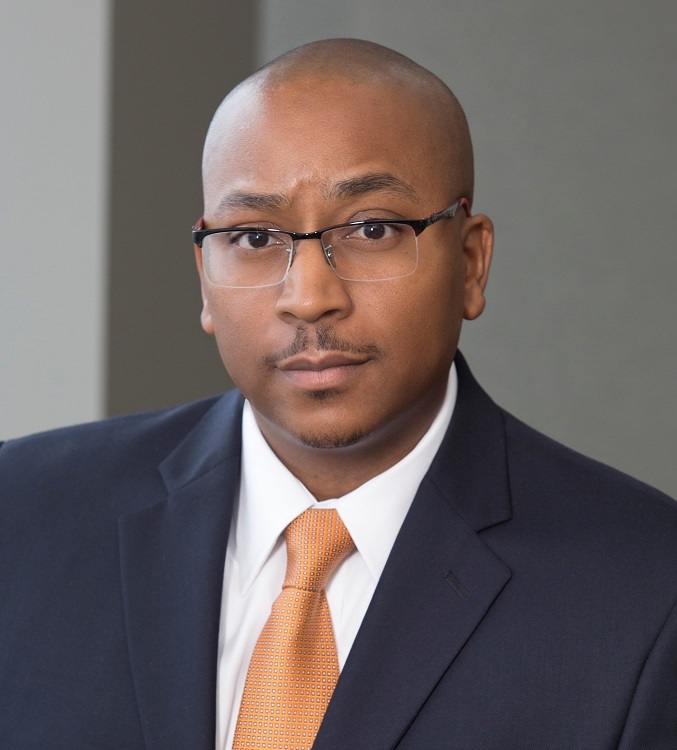 is proud to announce that Darius Davenport has become a partner in the firm. Mr. Davenport joined the firm in 2012 and leads its Cybersecurity and Data Privacy Practice Group. He also handles complex litigation with an emphasis on Public Sector Law and Insurance Defense. He is admitted in to practice in Virginia and Wisconsin. Before joining Crenshaw, Ware & Martin, P.L.C., Mr. Davenport taught at Regent University School of Law and served as an Attorney for the United States Army Judge Advocate General’s Corps. He received his J.D. from the University of Wisconsin Law School and his B.S. from Norfolk State University. Mr. Davenport serves on the Virginia State Bar Special Committee on the Future of Law Practice. He also serves as Vice Chairman for the Suffolk Wetlands Board and as a board member and Advocacy Committee Chairman for the Foodbank of Southeastern Virginia. He is rated AV® Preeminent™ by Martindale-Hubbell.